If you own Oppo R1 R829T, please do leave your feedback too. 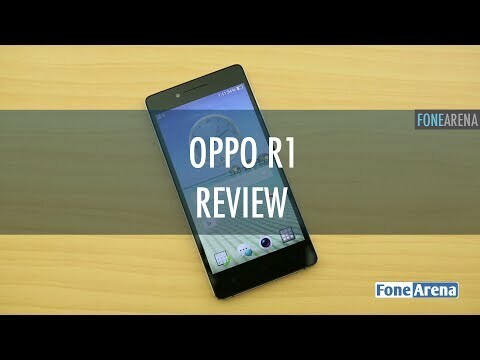 The Oppo R1 is a camera-focused smartphone from the chinese manufacturer. The device sports an 8 megapixel Sony BSI sensor with 5P lens and F2.0 aperture. There's a Blue Glass filter that ensures the sensor captures the best possible pictures in low light condition. The front camera is a 5 megapixel wide angle camera which makes it easier to click group selfies. The front camera also has a blue glass filter just like the rear camera. The software on the phone has also been tweaked to use an independent graphics processing chip to control the Auto Focus, Auto Exposure and Auto White balance before clicking a picture. The R1 has a thin magnesium alloy frame, measuring 7.1mm. It has a 5 inch IPS display with a resolution of 1280x720 pixels, bringing the pixel density to 294 PPI. The display is protected by Corning Gorilla Glass 3 and should offer decent protection. It has a 1.3GHz Quad Core processor with 1GB of RAM. The device has 16GB of memory which sadly is non-expandable. The R1 runs Oppos Color OS on top of Android 4.2 JellyBean which is an outdated version of the OS. The device has Gesture search where one can draw a gesture on the screen to launch an app. The smart motion feature uses the multiple sensors to answer a call, mute it or to dial a number. The phone has a dedicated PA amplifier for the speaker on the device. The Oppo R1 is a dual SIM device with a non-removable 2410 mAh battery unit. Although the feature list of this phone is impressive, the Moto X is more value for money.